When we get thirsty, many look for a soda to quench their thirst. It’s no secret that soda is bad for your teeth, but some are a lot worse than others. One of the most popular sodas for a social gathering is Mountain Dew. Its flavor has been a favorite of so many people that’s why its sales are so high. Mountain Dew may be delightful to drink but it can also be bad for your teeth. Sodas that are citrus flavored like Mountain Dew can have more teeth rotting power than other sodas. A combination of sugars, carbonation, and acids within the beverages are credited with the dental damage better known as acid decay. Because Mountain Dew has more acid overall, it takes longer for the saliva in your mouth to dilute it and in addition to that, it has citric acid added to it, which does more damage to your tooth enamel. 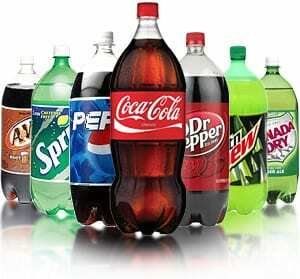 One way to avoid doing damage to your teeth is to simply reduce or stop drinking sodas and especially Mountain Dew. But if you can’t kick the habit, here are some ways to reduce the risk. • Drink quickly-sipping on sodas throughout the day compounds the danger. It bathes your teeth in a steady stream of the damaging acids and sugars. • Visit the dentist-proper dental care is very important. Regular visits to the dentist can spot cavities and damage before it progresses to visible tooth decay. • Wait before you brush-studies have shown that brushing immediately after drinking sodas can cause damage because the outer layer of teeth called Enamel is vulnerable after being exposed to the acids. Researchers say to wait at least 1hour before brushing. I hope this Tooth Talk has encouraged our readers to put the sodas down and pick up a bottle of water to quench your thirst. If you have questions please email or call me, dr.jmitchell@integritydentalcares.com (615) 445-8700.